then we allocate 10% of the sales to restore the environment. 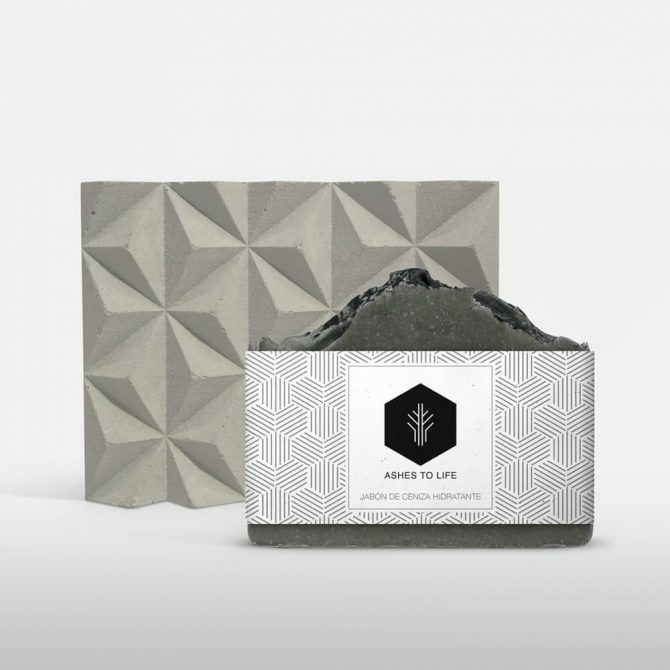 Ashes to Life products are ecological. 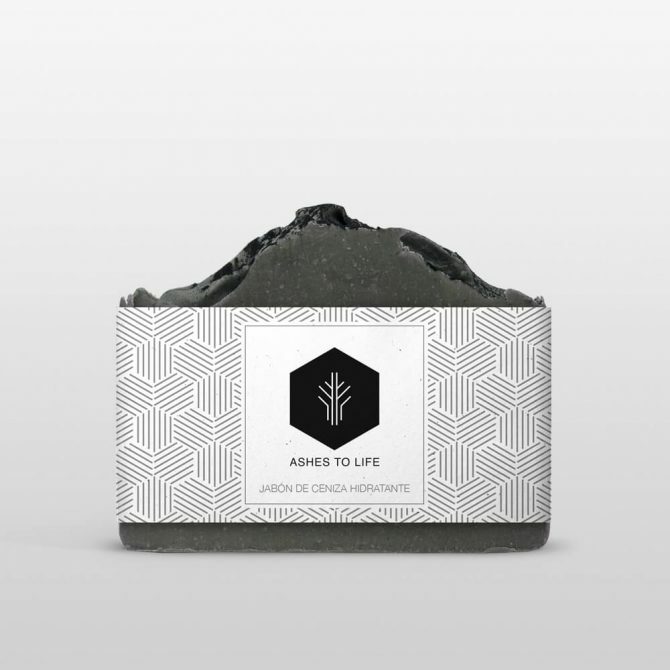 These ashes come exclusively from organic sources. 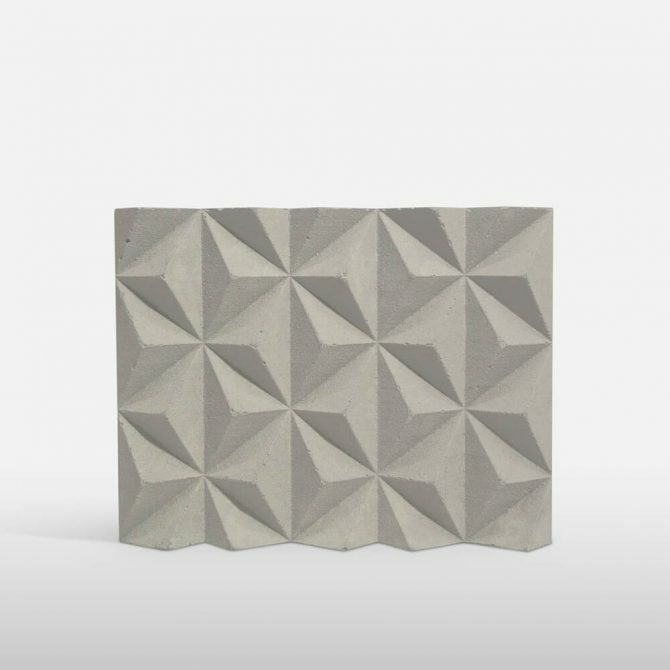 Also, the ash provides with active ingredients and minerals, which enhance exfoliation. 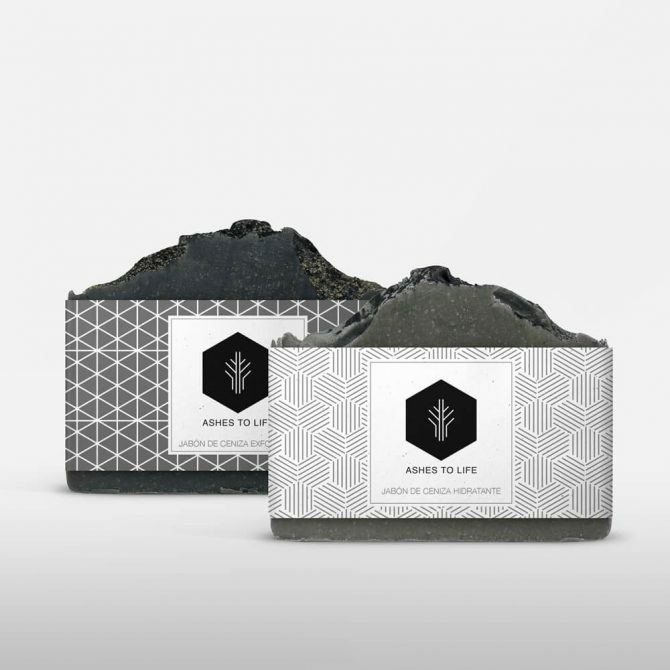 Recovering and respecting the historical soap making process, in ASHES TO LIFE we develop our ash soaps at an ecological cosmetics lab rigorously incorporating up-to-date science (R + D + i), which guarantees a maximum benefit for the skin. We use organic extracted oils without subjecting them to high temperatures so that they keep all the properties of the oils intact by when they get to our clients’ hands. 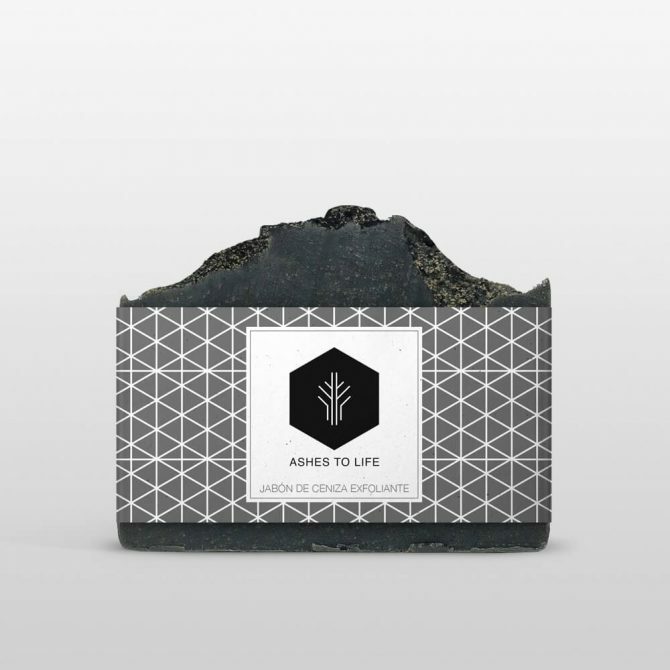 In this way ASHES TO LIFE soaps are more moisturizing and nourishing, preserving their antioxidant power and vitamins. When a forest burns, nothing remains but ash. But, what if we could turn those ashes into life? 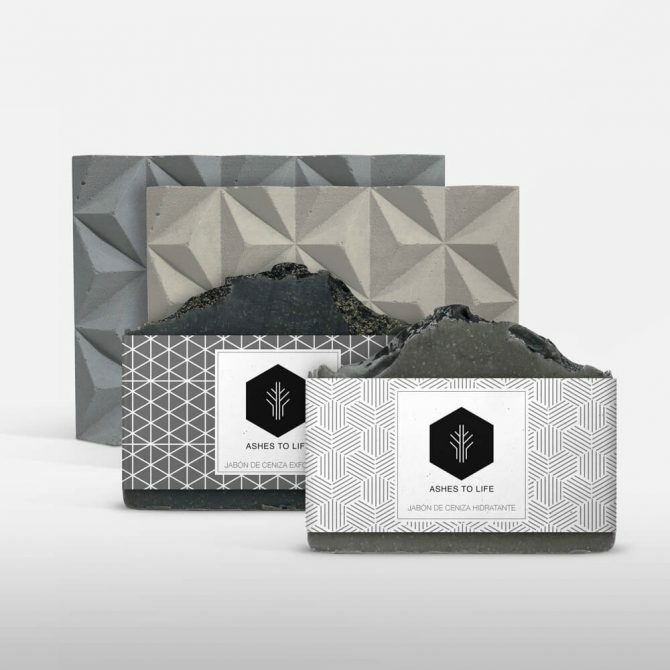 To elaborate ecological products with a small portion of ash from the very forest that has been burned and then use the benefits from their sale to restore those same forests through an Ecological Restoration Protocol.In this way, we bring the forest back to life from the ashes. To be able to carry out this purpose with all the guarantees and reproduce it at any affected area, we must carry out a preliminary investigation, for which we have the help of Public Administrations, committed organizations and professional experts in the ecological restoration of ecosystems.